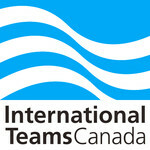 International Teams Canada Inc. (iTeams Canada) is a growing, innovative Christian non-profit organization dedicated to meeting the physical and spiritual needs of widows, orphans, and refugees around the globe. Part of a wider alliance of affiliated national offices providing leadership around the world, iTeams Canada works with twenty programs in Europe, Asia, Africa, Middle East, and North and South America. Our work is always accomplished in partnership with churches, businesses, and grassroots networks of passionate people investing their time, resources, and abilities. In partnership with volunteer program champions in Canada, we empower churches and indigenous leaders to transform communities in need through sustainable projects that will, over time, break the cycle of poverty. In some places we provide for the necessities of life, like food, clean water, basic medical care, and shelter. In others, we work in conjunction with many of our partners in the developing world to ensure access to school by providing school fees, building new schools, training teachers and after-school tutors, and offering vocational training and career assistance. In other areas, experienced church leaders and pastors help in training of hundreds of pastors, evangelists, and church planters each year. Our mission is to help churches and indigenous leaders help widows, orphans, and refugees. To that end, we provide infrastructure, expertise, resources, and services to our partners and programs as we work together to make our vision a reality: lives and communities transformed by the power of God. Our ministry model differs from that of most modern mission organizations in that we do not seek to do the work ourselves, but rather to add velocity to the work of wise leaders with a vision to develop next-generation leaders. Together they are the people best positioned to bring about the greatest transformation. As a Christ-centred organization, we value the poor, the church, and the indigenous leader. We aspire to excellence through measurable performance and good stewardship. We are a relational organization, characterized by integrity and innovation. Will you run, jog or walk with us on May 4 in support of Impact Romania's NEW Family Farmhouse project or support a participant? Join Pas Cu Pas and Impact Romania as we fundraise for the building of Phase 1 of the Farmhouse on Pas Cu Pas' newly purchased Family Farm! iTeams Canada and the Kingdom Life Fellowship's Artist Collective in Guelph are partnering together to raise funds for Impact Kenya-Shangilia. Please join us for a night of rejoicing as we celebrate what God is doing in Western Kenya! Come stay warm with us on Feb 16th and enjoy some homemade soups & chilli's, live music & a silent auction! All proceeds are for nutritional and educational programs through iTeams Canada. Purchase your tickets below! It will be a night to miss! Skip the regular holiday fundraiser routine & enjoy the reward of supporting a great cause. Purchase a virtual seat, or even sponsor a whole virtual table! All donations go to Impact Kenya-Shangilia and are receipt-able.